So, I am writing a book. I have been sort-of-kind-of writing a book for a long time now. We have an on and off relationship, my book and I. But, a proposal is being reviewed, and the hope is that the feedback will be a green light, so I have to get writing. And soon. But, I am a bit out of practice. I wrote a fair bit last year – 3 book chapters (a few drafts each) as well as part of a paper with colleagues. But this is a different beast altogether – as long and as complex as a PhD thesis. I am finding I am out of shape here. This is not an unfamiliar feeling. I wrote here and here about moving from one year of PhD or post-doc into the next, after having a break and getting a bit flabby around the writing middle, so to speak. I know, therefore, that I have felt unfit before, and have made myself fitter and gotten the writing work done. But, this is – like actual fitness – hard work and requires a level of emotional and psychic energy that can be hard to find sometimes. I have decided, therefore, that I am going to start with gentle warm-ups, rather than jumping straight into the whole thing (Thank you, Roger Federer :-)). The first thing I am doing is starting with something manageable, that I could want to do every day – or at least 4-5 times a week. If I want to do it, and it feels manageable, it is very likely I will actually do it (and enjoy the experience). Instead of doing what I too often do, and writing ‘Chapter 1 draft’ on one day of my calendar, I am writing ‘one pomodoro’ every other day. I can do this. It’s 30 minutes of writing. I can then tick this off, and actually add days as a I go, or keep it every other day and work up to 2 pomodoros at least. If I can do it, I won’t fail, and if I don’t fail, I can keep enjoying this writing time and make it productive. Too often I set myself overly lofty goals, in life and writing, and set myself up to fail rather than succeed. Last week I wrote my first blog post in over 4 months, scheduled this post, and also managed about 1000 words on my book. HUGE success I say. All in these little manageable chunks. The second thing I am going to do is keep it steady. Rather than having a good week, and thinking I can now escalate to high levels of writing productivity, I am going to keep going at this pace for now. Probably, realistically, this will be the pace for the year, with bursts of higher productivity around deadlines and when I have excess time and energy. As one of my writing students said to me last year: ‘Eat the elephant one bite at a time’. Apologies to elephant lovers – I am one too – but this is a good metaphor for taking it steady with life and writing. One task, one pomodoro, one idea at a time. 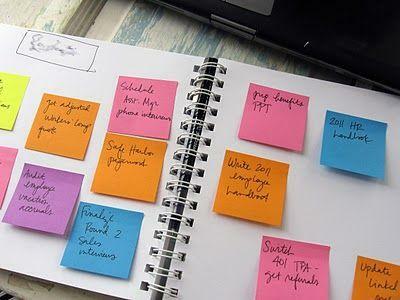 This way, things actually do get done as opposed to being menacing, un-ticked-off tasks on your to-do list. Finally, for now anyway, I am going to get me some writing buddies. Face-to-face if I can, but virtually if not. I am always thinking I should join a Twitter shut-up-and-write group, or create my own writing group. And then work, and kids, and life, and my writing gets pushed down (with me attached) to the bottom of my list. My writing time is also time for me – it’s personal as well as professional. So, I have to actually value it, and myself. As a working mother I am too often too far down my list. And so is my writing. I am hopeful, that with positive peer encouragement, we can collectively make our writing more present each week in the to-do lists, and make appreciable progress on our projects. Warming up these tired writing muscles to fuller strength will take some time – what do people say?If it’s too easy you’re not doing it right? Maybe so. I don’t think writing should always be hard, but good writing should take effort and time. Maybe you are in this spot too, coming back to work and PhD and research writing, and working out how to begin your “elephant meal”. Hopefully some of these steps to warming up your writing muscles will help you, too. If you have other ideas, please share in the comments. All the best for 2019! I have realised, looking through recent posts, that there is a bit of a theme emerging: that of a slightly aimless and depressed writer trying to get off the couch. I feel I should break this theme with a different kind of post, a more optimistic one. Although I have no regrets sharing this low patch of feeling aimless and stuck and unable to get off the couch – the downs are as much a part of working on a PhD or research project as any other part of it, and an important part to talk about – I do need to get going again. And the only person who can really get me going again is me. So, this post is really about how to make the most of the time you have, and be as productive as you can be. Many of my readers, and colleagues, are part-time writers and students. Writing and reading and thinking about research is squeezed into the odd hour here or there, or if you are lucky, a research day a week, a weekend, or even a sabbatical from work. But, for the most part (and this was the case for me during my PhD), research has to be fitted into everything else, and not the other way around. For much of my own PhD I had, at most, about an hour a day, most days. Then I had to put the PhD down and do my real job, and be focused on other things. After work, there were extra-murals to fetch and carry from, kids to spend time with, suppers to cook, pets to feed and so on. So, these brief hours here and there were precious and I needed to learn to make the most of them. This is not easy. I have written here about finding time to write, and about what that means: less physical hours in the day, and more space in your head to actually think and write productively when the physical time is created. It’s no use making time to write and then having to spend that time just getting back to where you were the previous time you set aside an hour or two to work on your research or writing. You’d just be treading water, becoming increasingly frustrated, and struggling to move forward. Each hour, ideally, needs to move you one step further to a finished thesis, or paper. Thus, you need to make the most of these hours that you can create AND, very key, create as many of them as possible in a consistent manner. 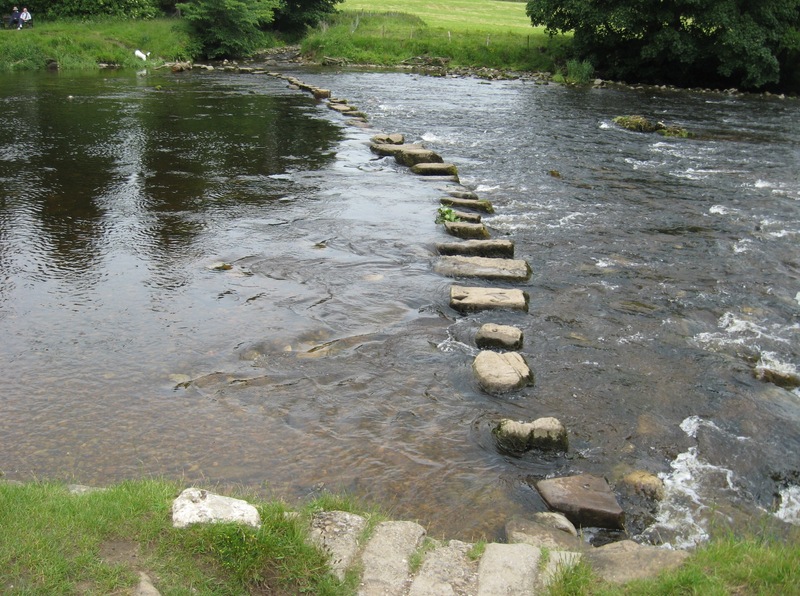 Think of these hours as stepping stones: too far apart and you’re stuck in the middle of the river, looking for a place to put your feet and finding the leap a bit scary. Ideally, they need to be fairly evenly spaced, so that you find each step in front of you manageable. I have also written here and here and here about things you can do to manage your research time effectively, and work on creating a balance between time for your PhD/MA and the rest of your professional and personal life. What I am working on now is creating links between the hours and minutes I set aside to work on specific projects. I read recently that when you are working on a piece of writing you should end off such that your thought is not quite finished, so that you can pick it up again and keep going. The problem with this, for me, is that I might not come back to that piece of writing for a few days, or even a week, and then that thought may have left me. This writing time then becomes about trying to get back to where I was before I left off, rather than picking up the thought and carrying on with it usefully. My trick now is to end off a block of writing time with some brief notes to myself in the form of a holding text, pointing ahead to what I want or need to think, read or write about next time. Thus, when I do pick it up, whether the next day or the next week, my time will be used moving my writing forward. This is one way I create a link. Another way I am creating links is by getting better at managing my physical time week in and week out. I am learning to keep much more detailed writing TO DO lists, breaking projects into more realistic pieces (such as ‘Read three papers and make notes’ set aside for three or four pomodoros in a morning; ‘draft introduction’ set aside for an hour or two one morning, and so on), and then working out, along with the kids’ stuff, and my other work and home stuff, exactly how much time I can set aside for these pieces and when. Then (mostly), I stick to this, and find that (when I can get it to work) the stepping stones connect together quite well, and I move my writing forward quite productively. A bonus is that I enjoy writing like this more, because I am moving forward with each step, and not going sideways or backwards. Finally, a common theme in many of my posts about writing: I practice self-kindness. I do not beat myself up (too much) when I can’t quite make it all work out. But, without structure, some organisational skills and planning, and a way of holding myself accountable, I would do very little. Thus, in order to make the most of each hour you can set aside, you do need clear goals, consistency – whether you can make this an hour a day or a few hours over a week or so – and good planning. The more you can get to your writing and research, the more the writing comes and the research plods on, and the more productive and enjoyable that time will become.